Today’s topic is another that Dina Yagodich offered me. She keeps up a YouTube channel, with a variety of educational videos you might enjoy. And I apologize to Roy Kassinger, but I might come back around to “parasitic numbers” if I feel like doing some supplements or side terms. Mathematics has a reputation for obscurity. It’s full of jargon. All these weird, technical terms. Properties that mathematicians take to be obvious but that normal people find baffling. “The only word I understood was `the’,” is the feedback mathematicians get when they show their family their thesis. I’m happy to share one that is not. This is one of those principles that anyone can understand. It’s so accessible that people might ask how it’s even mathematics. The Pigeonhole Principle is usually put something like this. If you have more pigeons than there are different holes to nest them in, then at least one pigeonhole has to hold more than one pigeon. This is if the speaker wishes to keep pigeons in the discussion and is assuming there’s a positive number of both pigeons and holes. Tying a mathematical principle to something specific seems odd. We don’t talk about addition as apples put together or divided among friends. Not after elementary school anyway. Not once we’ve trained our natural number sense to work with abstractions. A pigeon, on a Pittsburgh sidewalk in summer 2017, giving me a good looking-over. If we want to make it abstract we can. Put it as “if you have more objects to put in boxes then you have boxes, then at least one box must hold more than one object”. In this form it is known as the Dirichlet Box Principle. Dirichlet here is Johan Peter Gustav Lejeune Dirichlet. He’s one of the seemingly infinite number of great 19th-Century French-German mathematicians. His family name was “Lejeune Dirichlet”, so his surname is an example of his own box principle. Everyone speaks of him as just Dirichlet, though. And they speak of him a lot, for stuff in mathematical physics, in thermodynamics, in Fourier transforms, in number theory (he proved two specific cases of Fermat’s Last Theorem), and in probability. Still, at least in my experience, it’s “pigeonhole principle”. I don’t know why pigeons. It would be as good a metaphor to speak of horses put in stalls, or letters put in mailboxes, or pairs of socks put in hotel drawers. Perhaps it’s a reflection of the long history of breeding pigeons. That they’re familiar, likable animals, despite invective. That a bird in a cubby-hole seems like a cozy, pleasant image. The pigeonhole principle is one of those neat little utility theorems. I think of it as something handy for existence proofs. These are proofs where you show there must be a thing. They don’t typically tell you what the thing is, or even help you to find it. They promise there is something to find. Some of its uses seem too boring to bother proving. Pick five cards from a standard deck of cards; at least two will be the same suit. There are at least two non-bald people in Philadelphia who have the same number of hairs on their heads. Some of these uses seem interesting enough to prove, but worth nothing more than a shrug and a huh. Any 27-word sequence in the Constitution of the United States includes at least two words that begin with the same letter. Also at least two words that end with the same letter. If you pick any five integers from 1 to 8 (inclusive), then at least two of them will sum to nine. Pick a set of 100 different whole numbers. It is always possible to select fifteen of these numbers, so that the difference between any pair of these select fifteen is some whole multiple of 7. Some seem to transcend what we could possibly know. Drop ten points anywhere along a circle of diameter 5. Then we can conclude there are at least two points a distance of less than 2 from one another. Drop ten points into an equilateral triangle whose sides are all length 1. Then there must be at least two points that are no more than distance apart. Start with any lossless data compression algorithm. Your friend with the opinions about something called “Ubuntu Linux” can give you one. There must be at least one data set it cannot compress. Your friend is angry about this fact. Take a line of length L. Drop on it some number of points n + 1. There is some shortest length between consecutive points. What is the largest possible shortest-length-between-points? It is the distance . As I say, this won’t help you find the examples. You need to check the points in your triangle to see which ones are close to one another. You need to try out possible sets of your 100 numbers to find the ones that are all multiples of seven apart. But you have the assurance that the search will end in success, which is no small thing. And many of the conclusions you can draw are delights: results unexpected and surprising and wonderful. It’s great mathematics. A note on sources. I drew pigeonhole-principle uses from several places. John Allen Paulos’s Innumeracy . Paulos is another I know without their knowing me. But also 16 Fun Applications of the Pigeonhole Principle , by Presh Talwalkar. 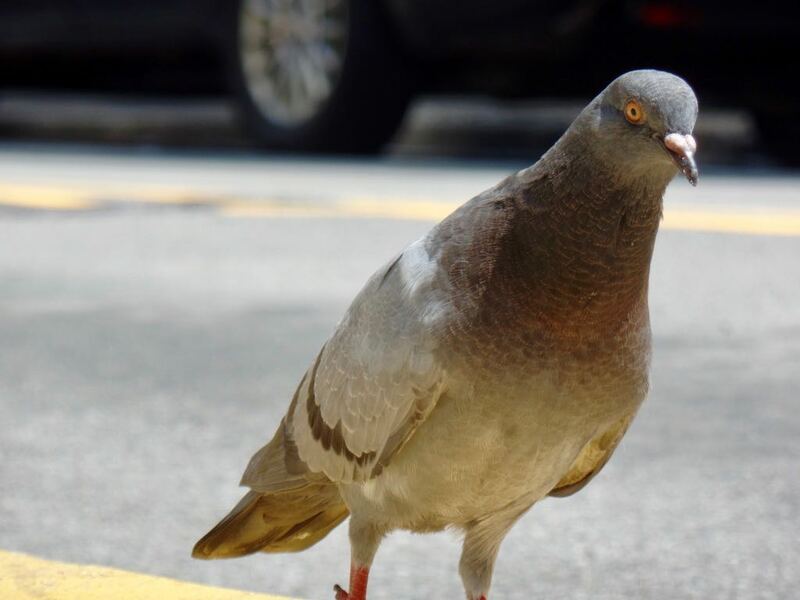 Brilliant.org’s Pigeonhole Principle , by Lawrence Chiou, Parth Lohomi, Andrew Ellinor, et al. The Art of Problem Solving’s Pigeonhole Principle , author not made clear on the page. If you’re stumped by how to prove one or more of these claims, and don’t feel like talking them out here, try these pages. My next Fall 2018 Mathematics A-To-Z post should be Tuesday. It’ll be available at this link, as are the rest of these glossary posts. That pigeon looks upset that you called her Walter. Well I wasn’t going to go calling a pigeon ‘Corky’, was I?